Honey bees are critical pollinators. Small but mighty, they pollinate 70 of the around 100 crop species that feed 90% of the world. These top chefs can be thanked for strawberries, coffee, apples, and carrots, to name but a few. Their absence would be absolutely devastating for food production. Buying local, raw honey is a simple way to help to save the honey bee, as it helps to cover the costs of beekeeping. However, as well as this, there are some other simple, fun and economical steps you can take within your own home to ensure that you are taking those crucial extra steps to help us at Local Honey Man to save the honey bee. 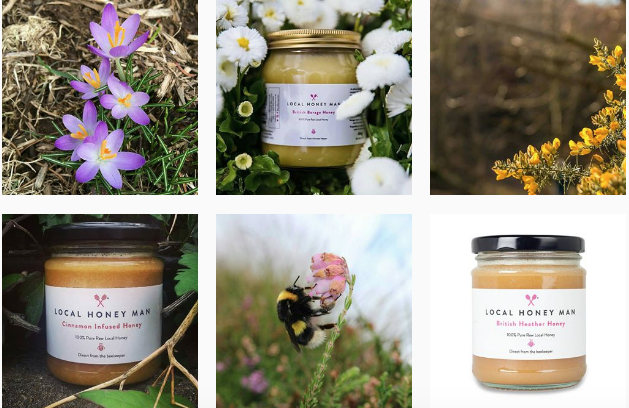 We are always excited to hear from you so do tag us in your Instagram snaps of your new venture towards a bee-friendly garden and lifestyle @localhoneymanuk! Pesticides have long been blamed for the decline of honeybees and more recent scientific evidence has found direct links between certain insecticides and the reduction in bee species. Stopping the use of pesticides in your garden can therefore only be a good thing – it will make your garden healthier, for our favorite flying friends, but also for your pets and children. Fear not – this doesn’t mean handing your garden over to the slugs – there are plenty of natural alternatives to using pesticide in your garden. 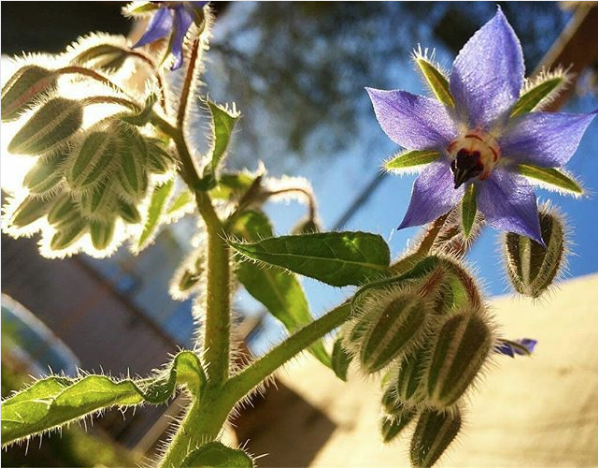 Borage and sage herbs repel insects (and conveniently attract honeybees) or you could try making your own peppermint insect spray by boiling peppermint tea or fresh mint leaves, and pouring the contents into a spray bottle when cooled. Making your garden chemical-free is a good starting point, but is best complemented with a broader effort to making your garden a little bit more bee-friendly. The best plants for bees include sunflowers, forget-me-nots, heather, lavenders, and foxgloves. Bees also enjoy flowering herbs such as mint, sage, oregano and borage – plant these and you too can reap the benefits of cooking with your own pesticide-free fresh herbs. Weeds such as dandelions and clover are also beneficial to bees. If you are keen to have a weed-free garden, why not replant the dandelions that you pull up in a pot – the weeds will be more separate from your other flowers, but you will still be doing a favour to the honey bee. If you don’t have a garden, why not try planting some bee-friendly flowers or herbs in pots and leaving them outside your door? Or how about getting in touch with your local authority to see if you can help them make some public spaces a bit more bee-friendly? Being a critical pollinator is thirsty work! 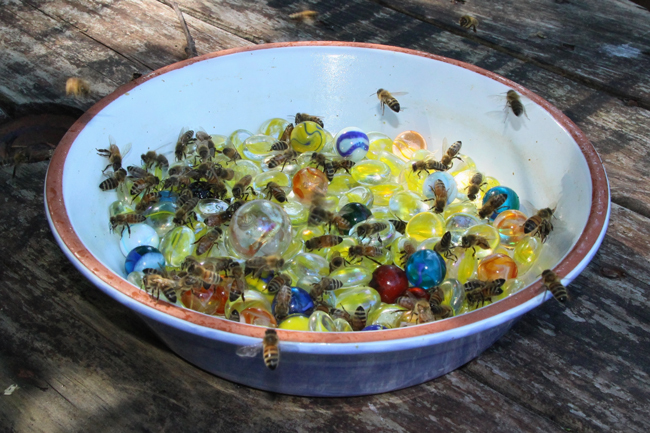 Help the bees that visit your garden take some well-deserved me-time by filling a shallow bowl with a few pebbles and water. The bees will rest on the stones to re-hydrate. Why not try placing a few around your garden? You’d be surprised how much difference this can make, especially during the hotter summer months. 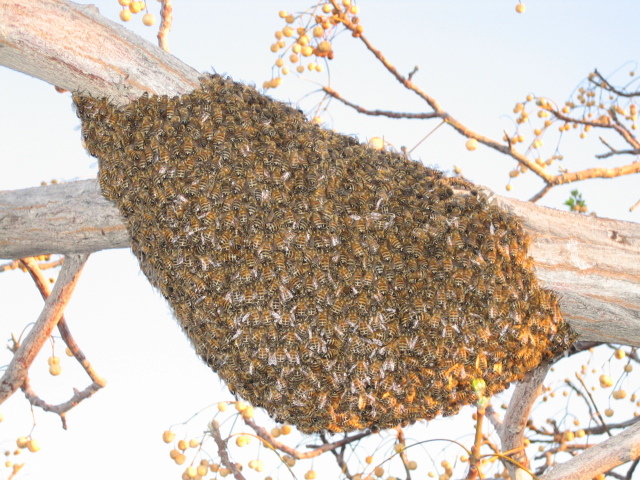 If you see a swarm of what you think are honey-bees, don’t panic. Honey bees with no hive or honey to protect are usually quite docile unless they feel threatened. They are simply resting before they go to find a new place to live. Do not get too close, but do not spray or throw anything at the bees. The best thing to do is to find and contact a local, experienced bee-keeper, who will be more than happy to come and collect the swarm and help them to find a new home. 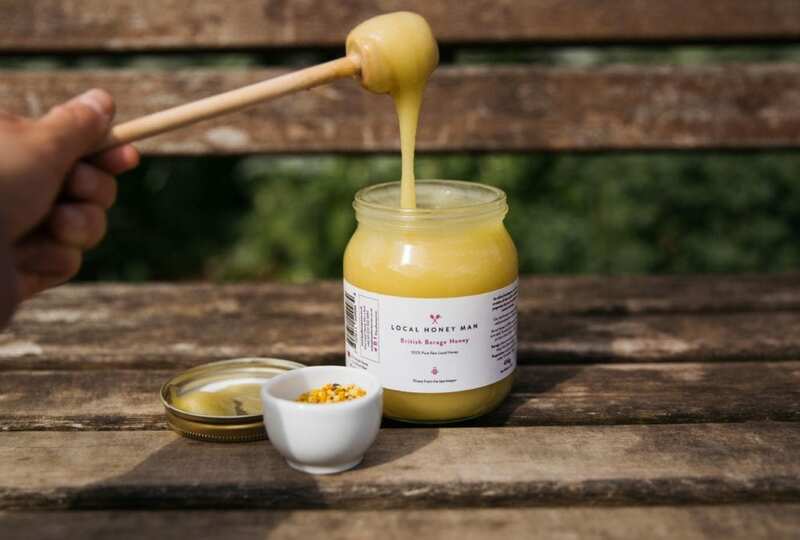 By supporting your Local Honey Man with the purchase of our Raw Local Honey, you are contributing to our efforts of raising and installing more Beehives across the UK. Every year we actively invest tens of thousands of pounds into the breeding and raising of our natural wonder the Honeybee! BUY A JAR OR TWO TODAY HERE! 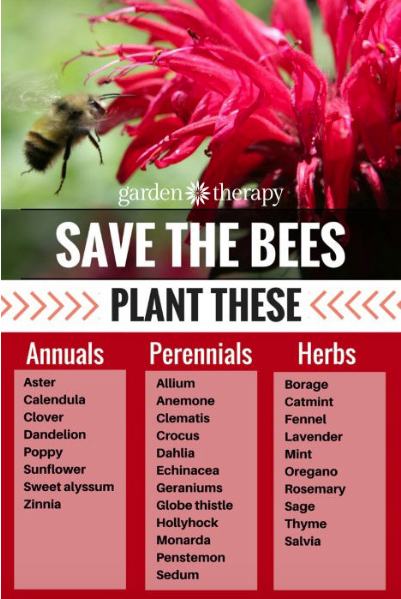 Every Jar helps the Bees!